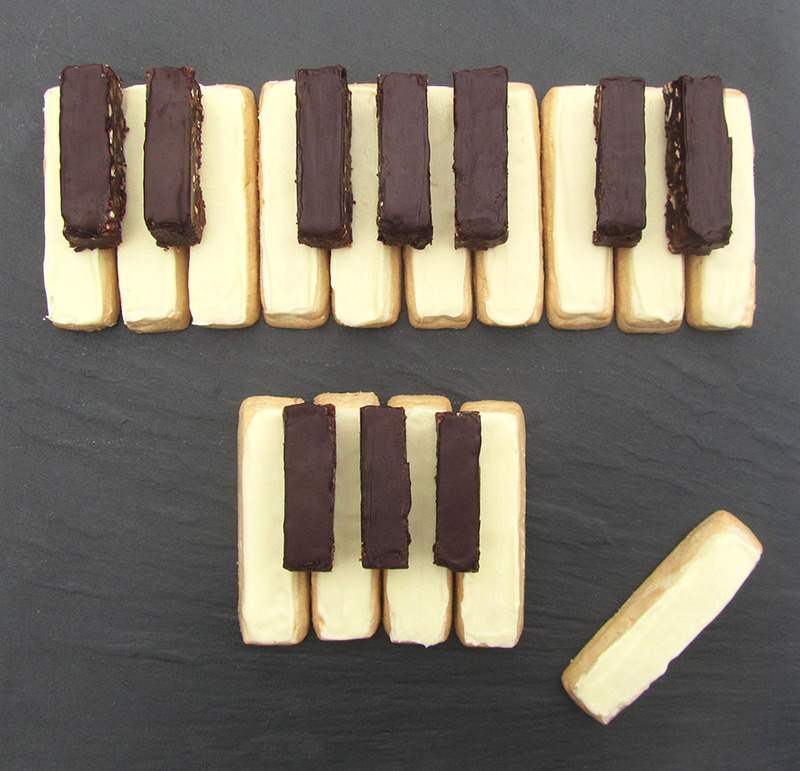 My Piano Shortbread featuring Tiffin keys are anything but accidental and were created to celebrate Jools Holland Hootenanny. 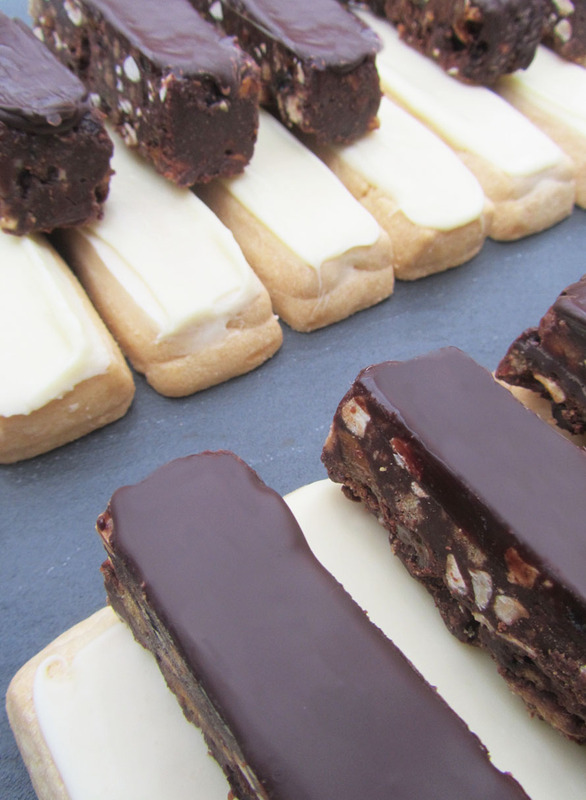 Shortbread fingers seemed the obvious choice of bake, as their shape literally hit the idea of piano notes on the head and played tribute to the origins of the Scottish biscuit and New Year celebrations. Covering the shortbread in white chocolate turned them into the pianos white keys and added to the biscuits buttery sweetness. 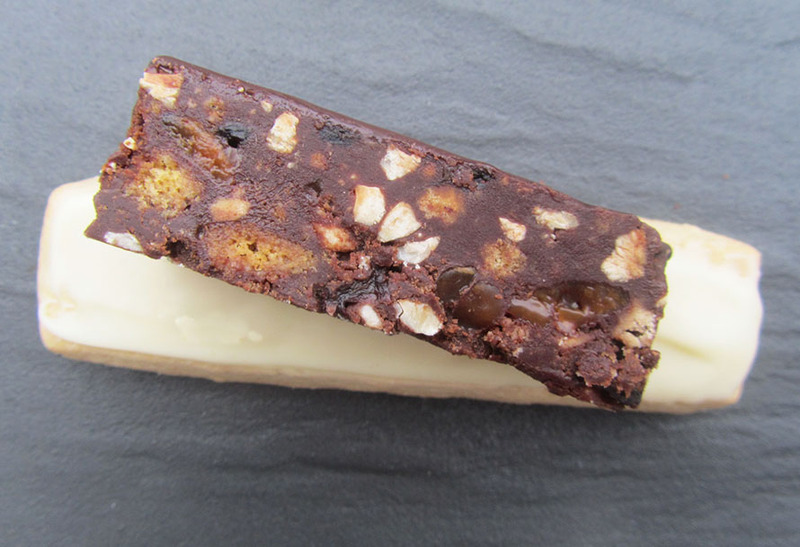 The Tiffin was made up of a mix of of confectionary, often consumed over Christmas and New year. From crushed amaretti biscuits to shattered salted peanuts, chocolate covered raisins and broken up toffees and caramels, everything was bound together with melted dark chocolate. More of which was then used to coat the accidental keys on purpose. Whether eaten separately or in harmony, these edible piano keys are another example of how playing with your food can both taste and sound right.